No collection of dinosaurs would be complete without the awe-inspiring Tyrannosaurus, am I right? This "tyrant lizard" terrorized its Cretaceous comrades and outlasted most of them, being among the last dinosaurs living before that fateful day when an enormous asteroid came catapulting toward Earth and wiped out three-quarters of the planet's plant and animal life. Poor Rexy. Arguably the most famous dinosaur of all, Tyrannosaurus Rex may have been a little lacking in the arm department, but he compensated with a big toothy grin that would win your heart (and then devour it). 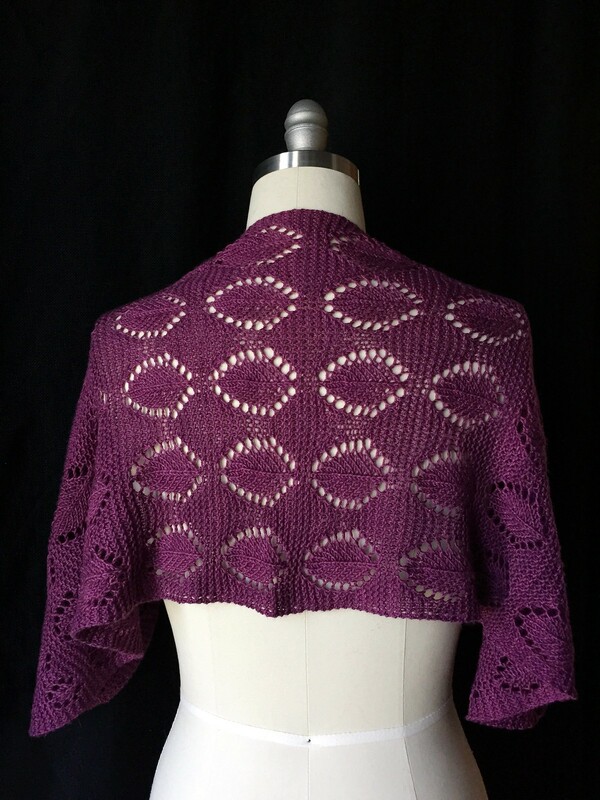 A simple center-out, crescent-shaped shawl of seed stitch mimics the rough hide and is finished off with short-rows and a pattern of eyelets that form that brilliant smile. 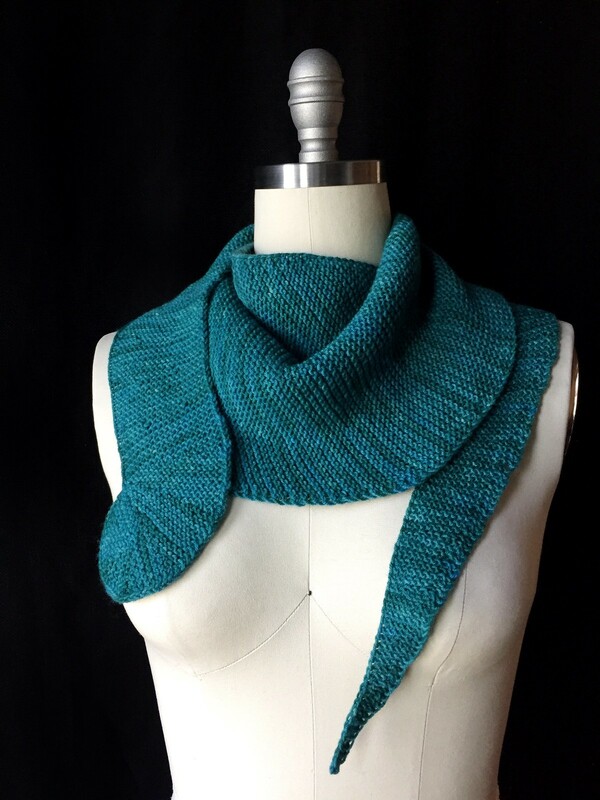 BUY IT NOW on Ravelry! And that completes our Parade of Dinosaurs! Do you have a favorite? I know, who could choose! 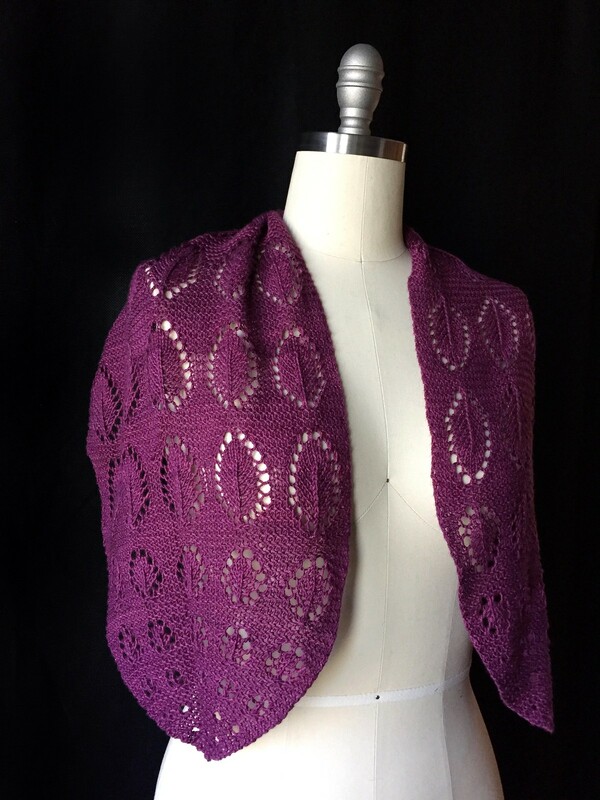 It'd probably be best to just go ahead and get all eight patterns, right? 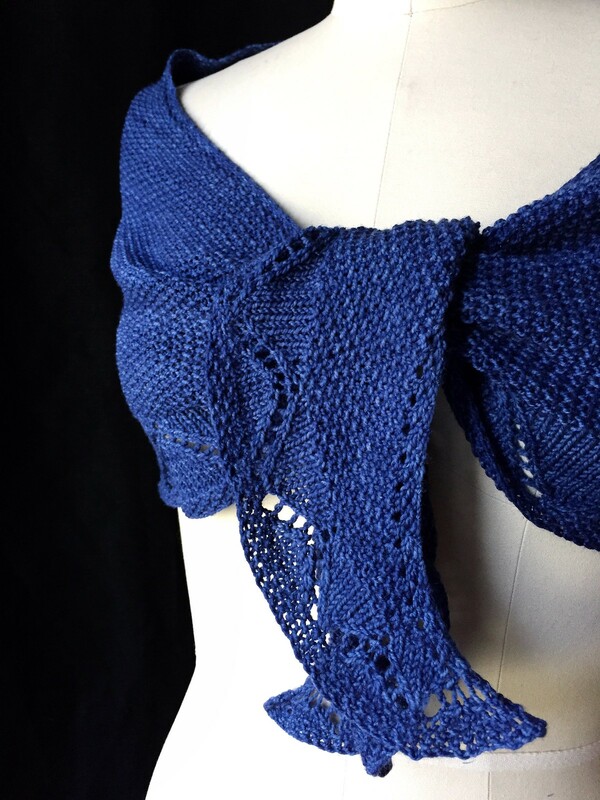 Pick up the individual dinoshawl patterns or all of them in one e-book, also available for purchase through Ravelry. Number 7 in our dino line-up is the amazing Ankylosaurus, another armored dinosaur like Stegosaurus before him (like, almost 100 million years before him). 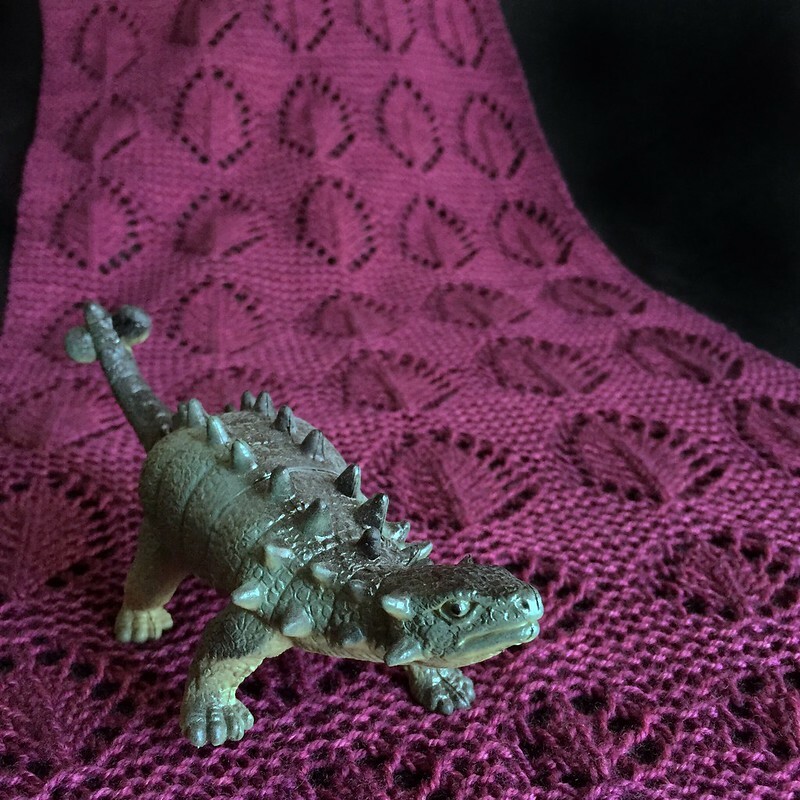 Heavy armor plating, or osteoderms, lined Ankylosaurus' back, protecting him from attack in much the same way that the columns of lacy “spikes” on this shawl will fend off the chill. 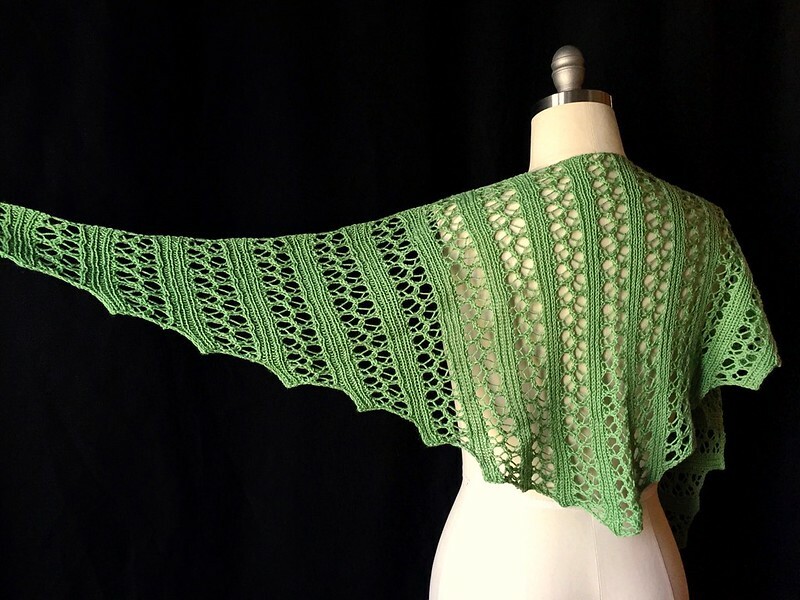 Worked end-to-end with increases and decreases incorporated into the lace charts, this shawl makes an ideal project for a beginning lace knitter. 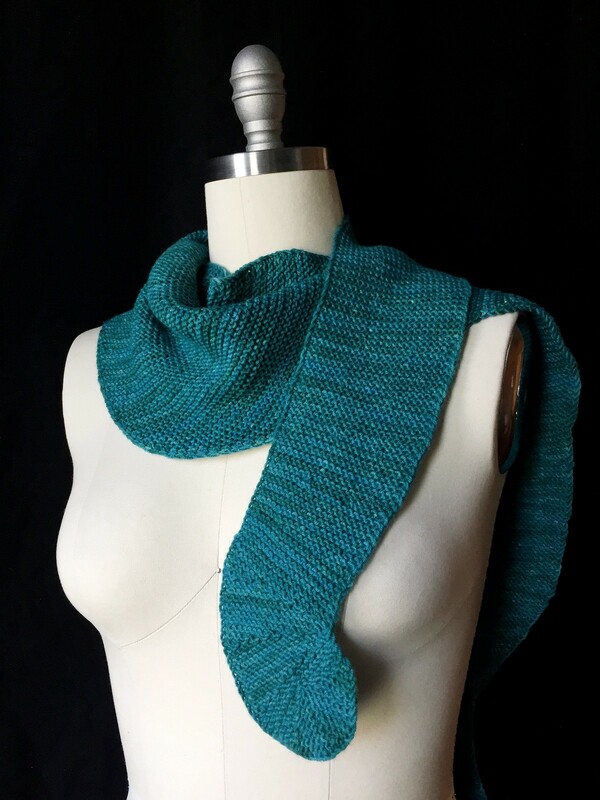 And if you want a longer scarf, you can simply work more repeats of the center section. After all, Ankylosaurus measured up to 20.5 feet. I don't see why your new neck-cessory couldn't be equally lavish. We're in the home stretch now! 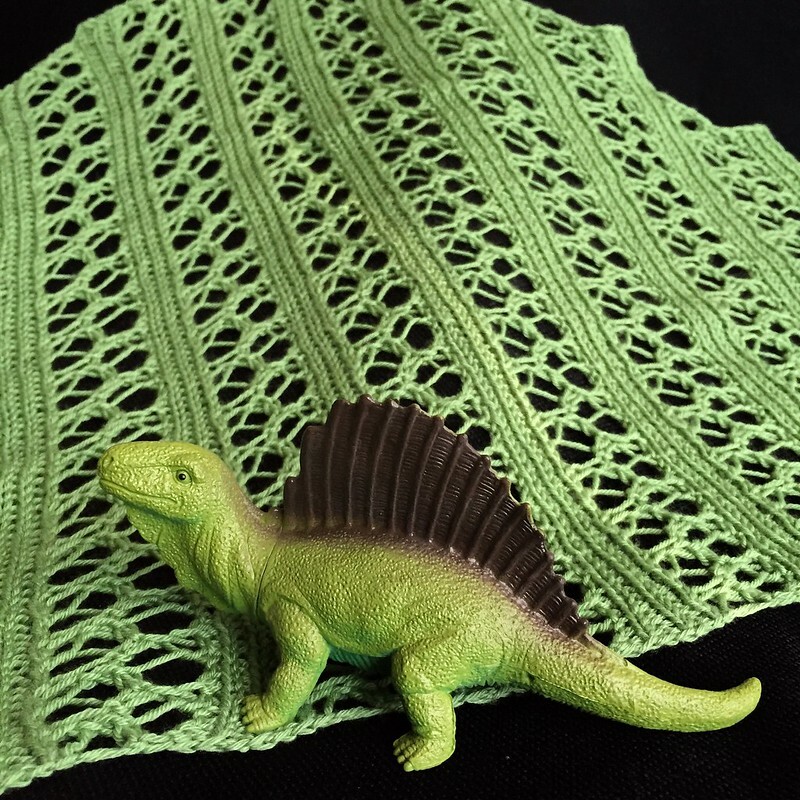 Just one more dinoshawl left! 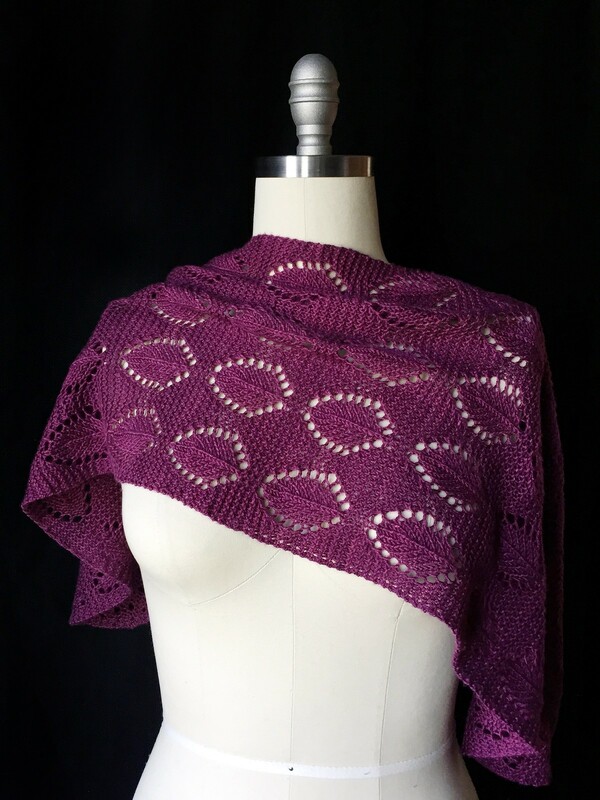 But remember, you can get all eight patterns right now in one e-book, also available for purchase through Ravelry, for half the total cost of all of the individual dinoshawl patterns. It's time for another dinosaur! Well, another creature who is often mistaken for a dinosaur. Dimetrodon was actually a "mammal-like reptile" that became extinct about 40 million years before the first dinosaurs walked the earth. As with Stegosaurus' spikes, the purpose of the huge sail protruding from Dimetrodon’s spine is still a point of contention amongst paleontologists. 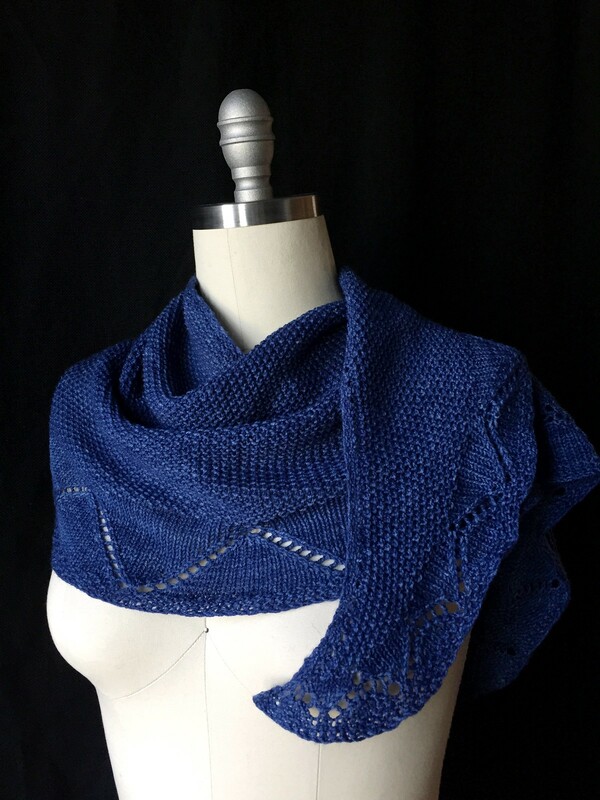 But one thing is for certain - it practically begged to become a knitted shawl. I mean look at it! 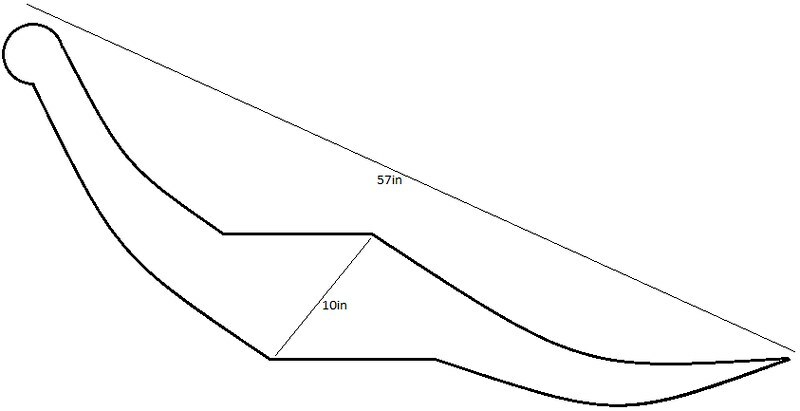 It's the perfect shape! 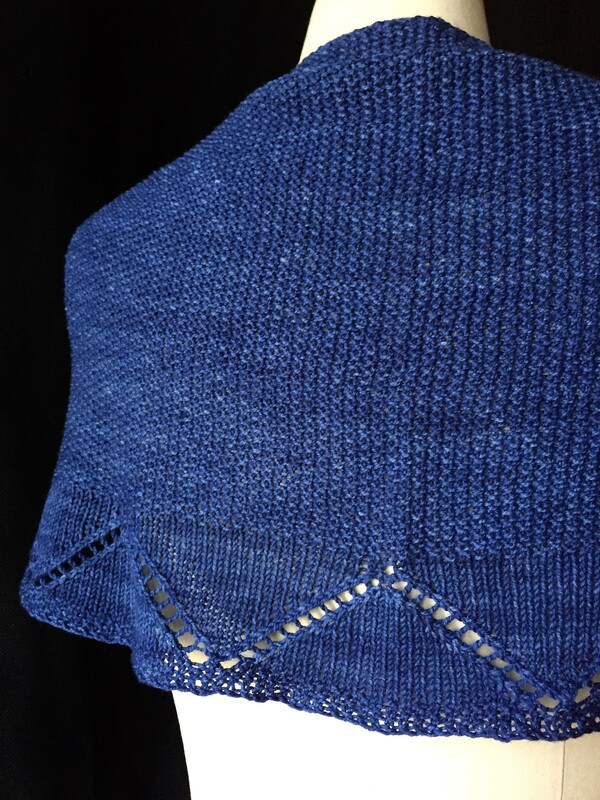 Ribbed “bones” extend vertically from the long cast on edge, while a lacy “skin” fills in the gaps. 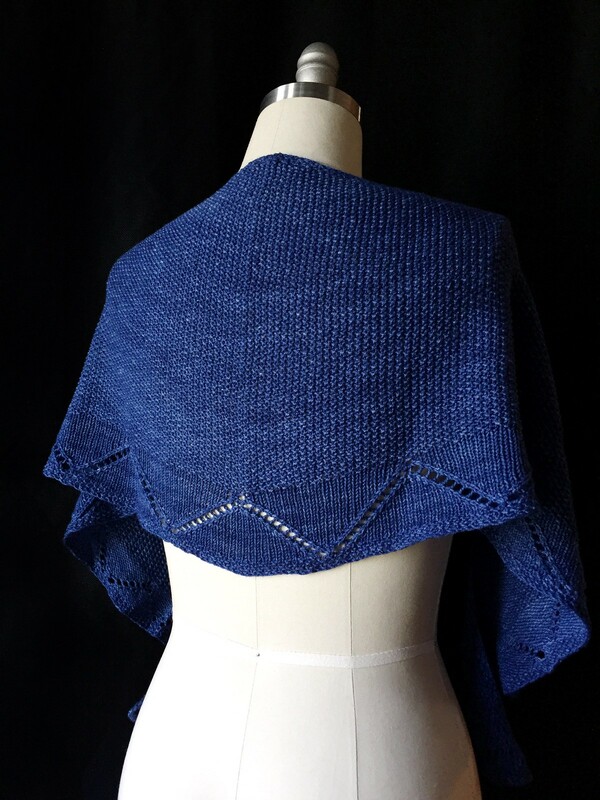 Stepped decreases give the shawl its bell shape, and like its namesake’s sail, this shawl is completely reversible! 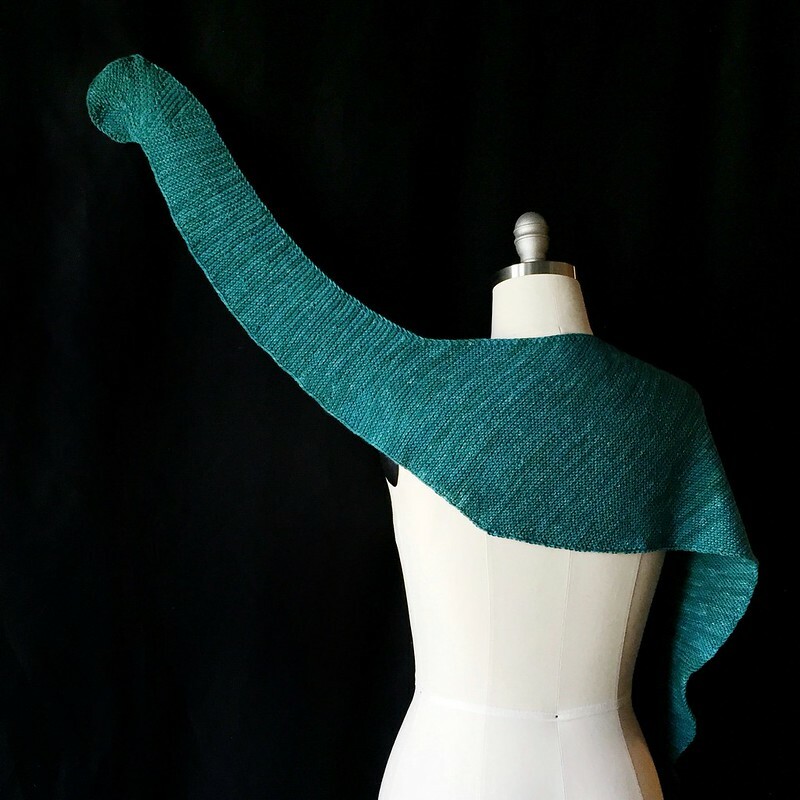 That's one more dinoshawl down and only two more to go! 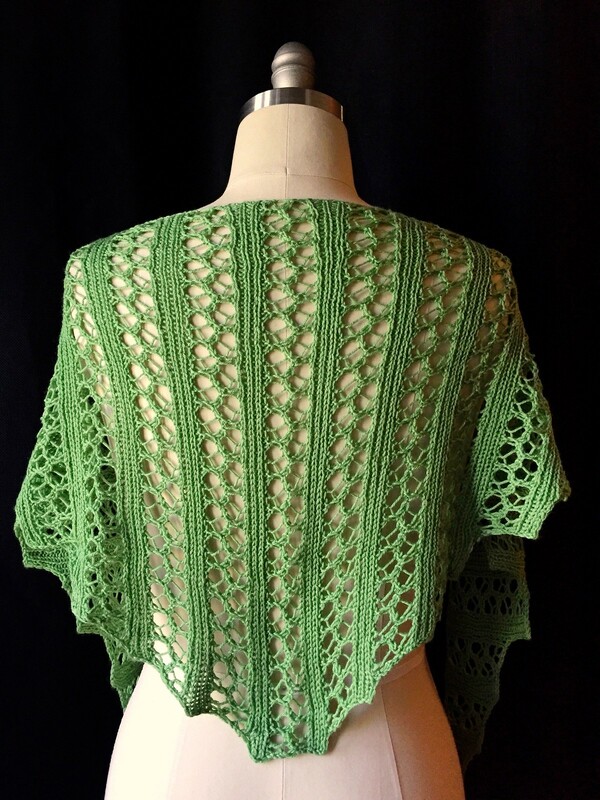 But remember, you can get all eight patterns right now in one e-book, also available for purchase through Ravelry, for half the total cost of all of the individual dinoshawl patterns. Next up in our Parade of Dinosaurs is Apatosaurus, or perhaps Brachiosaurus or the controversial Brontosaurus, if that's your preference. 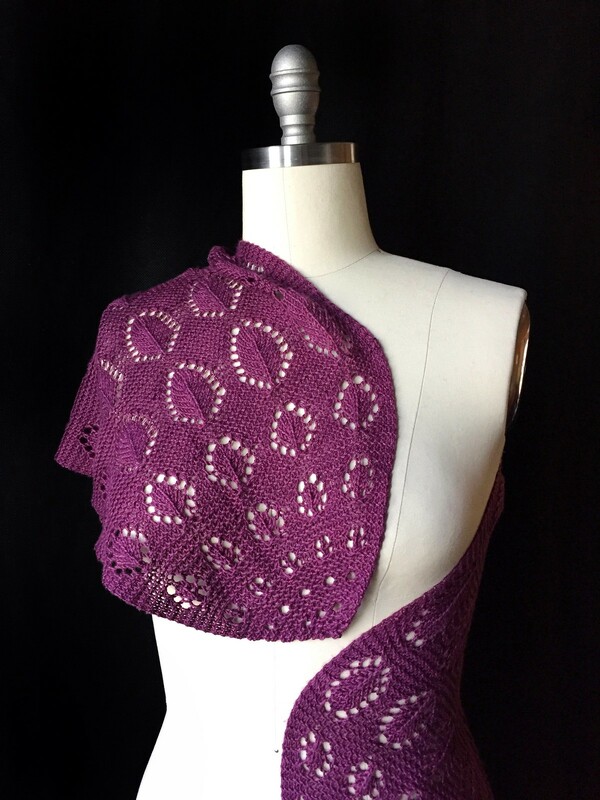 They're similarly shaped enough you could say they all inspired this dinoshawl. 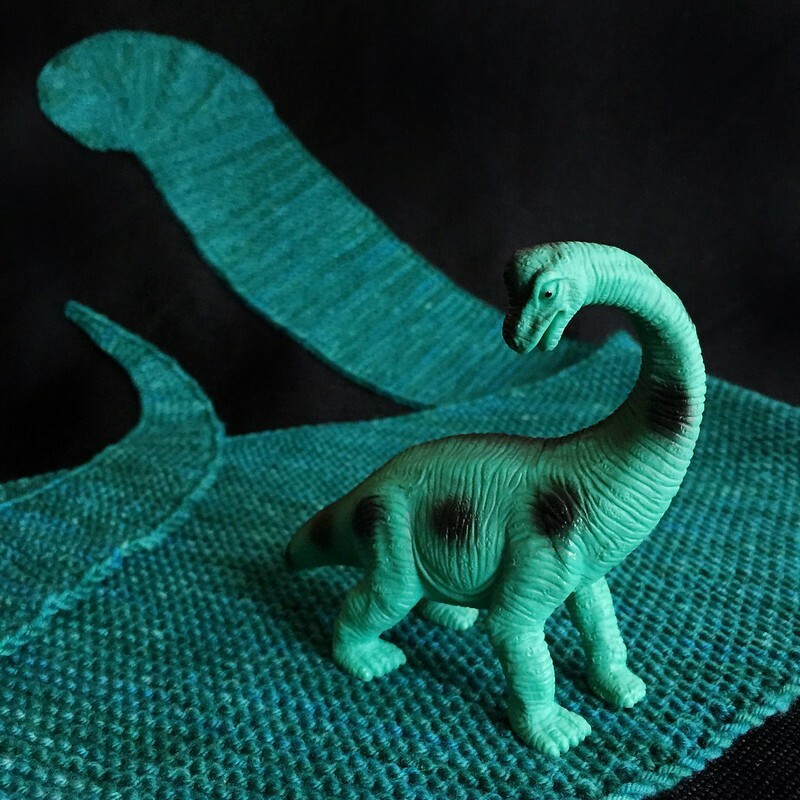 Known for its long neck and tail, the Apatosaurus’ silhouette lends itself nicely to a sort of scarf-shawl hybrid design. 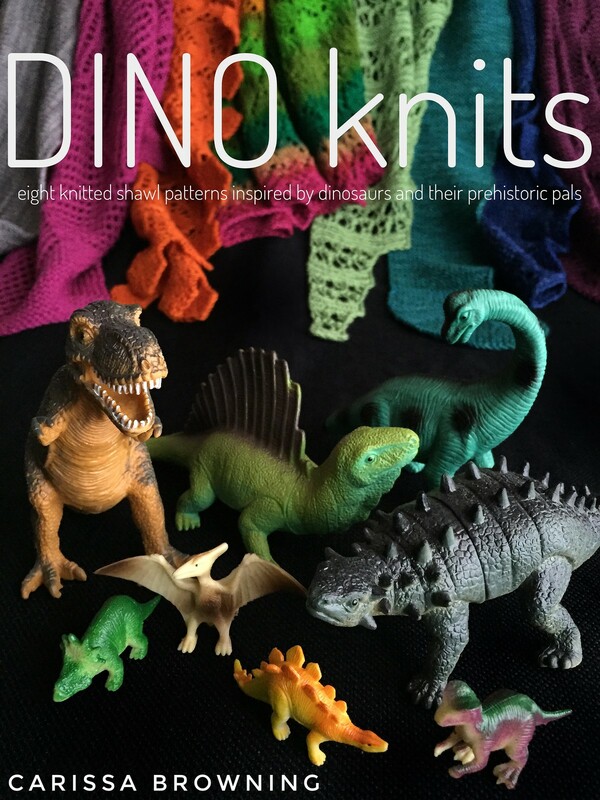 This is probably the most dinosaur-y of the DINO knits patterns. Subtle, it is not, but hey, that's what makes it so awesome, am I right? 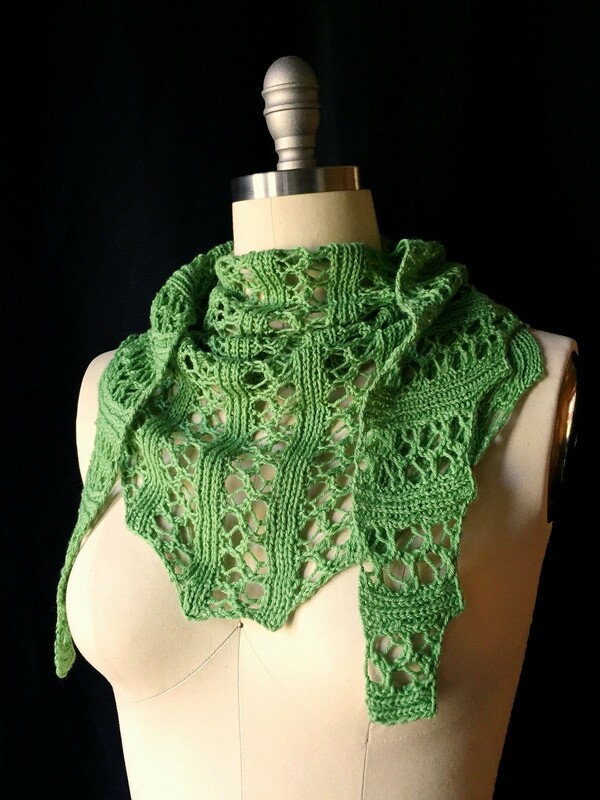 The stitch pattern is simple garter stitch, but there are plenty of short-rows, increases, and decreases to hold your interest. 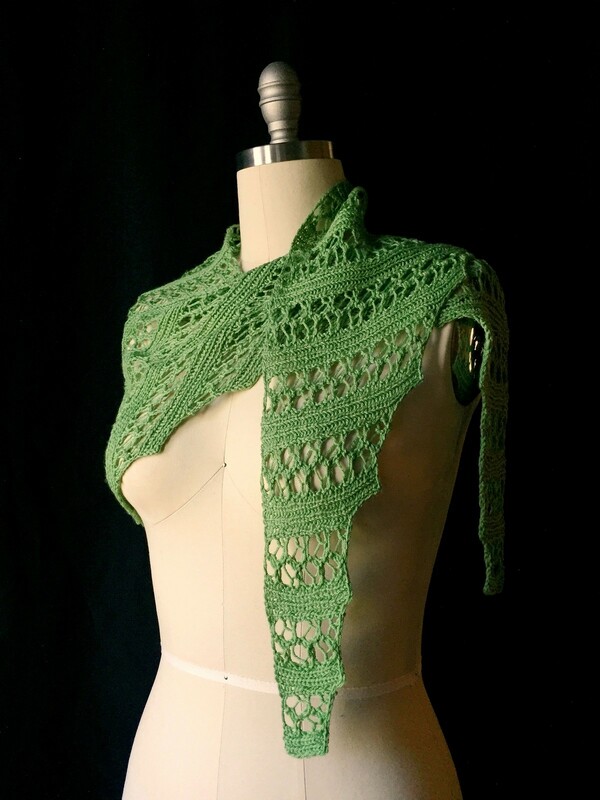 And I can totally see this stitcheded up in bright, fun colors for some fantastic scarves for the kiddies. 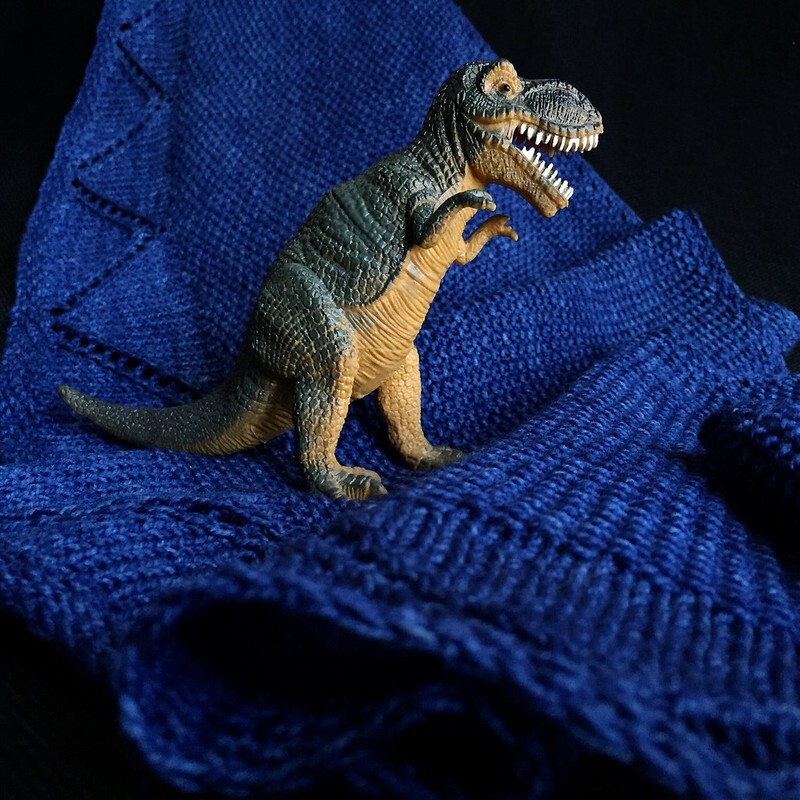 There are still three more dinosaurs to go, but remember, you can get all eight patterns right now in one e-book, also available for purchase through Ravelry, for half the total cost of all of the individual dinoshawl patterns.